Axiom IT is a Melbourne IT company providing comprehensive IT Services to businesses of all sizes throughout the Melbourne Metropolitan area. For years, we have helped local businesses adopt the latest technologies. Dozens of companies across a variety of industries have embraced the advantages of our expert IT services, giving them the confidence in their technology necessary to operate their businesses in a cost-effective, fast and modern capacity. First introduced to computers at the young age of 5, IT is well and truly in Tas Gray’s blood. Growing up, he was the person friends and family turned to when computer problems arose. His keen interest in IT led him through a degree in Computer Science followed by multiple Microsoft Certifications, and a career in web development. In 2009, after 5 years working in corporate, small business and startup organisations, Tas left his job to embark on the challenge of starting a small business of his own. Partnering with university colleague, Long Tran, they laid the foundation for what is now known as Axiom IT. His areas of expertise include – ASP .Net, Ruby on Rails, WordPress, Web Architecture & Office 365. 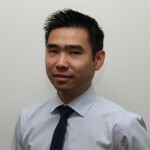 Long began his IT career as a desktop support officer whilst studying for his Computer Science degree. His passion for IT quickly progressed him to become a System Engineer, certified as a Microsoft Technical Specialist. Long’s in-depth understanding of technology and ability to analyse, assess and improve business operations pushed him into IT consulting. To date, Long has helped hundreds of small and medium businesses throughout Melbourne improve their IT systems, reducing costs and increasing productivity. Long now dedicates his time consulting on migration to Microsoft’s enterprise ready cloud platform, Office 365. 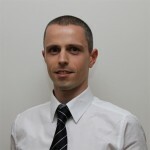 His areas of expertise include – Windows Server, Systems Administration, Cloud Solutions & Office 365. Axiom IT is a progressive, forward thinking IT company focused on Office 365 and cloud solutions. Talk to us today and discover the benefits of cloud for your business. Part 2 – Notifiable Data Breaches: How can you protect your business?